정족산성이라고도 하며 단군의 세 아들이 성을 쌓았다는 전설이 있어 삼랑성이라 부른다. 이 성이 만들어진 연대는 정확하지 않으나, 고려가 1259년 삼랑성 안에 궁궐을 만들었다고 하니 그 전에 이미 성이 있었음을 알 수 있다. 성곽이 쌓여져 있는 모습을 보면 보은의 삼년산성이나 경주의 명활산성처럼 삼국시대 성의 구조를 찾을 수 있으므로, 삼국시대에 만들어진 성으로 추측된다. 고려 때 보수공사가 있었던 것으로 보이며, 영조 15년(1739)에 성을 다시 쌓으면서 남문에 문루를 만들고 ‘종해루’라고 하였다. 조선 현종 1년(1660) 마니산의 사고에 보관되어 있던 『조선왕조실록』을 성 안에 있는 정족산사고로 옮기고, 왕실의 족보를 보관하는 선원보각을 함께 지었다. 그러나 지금은 둘 다 없어지고 전등사만 남아있다. 이곳은 고종 3년(1866)의 병인양요 때 동문과 남문으로 공격을 해오던 160여 명의 프랑스군을 무찌른 곳으로도 유명하다. 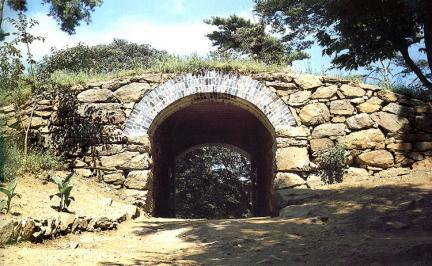 Once called Jeongjoksanseong Fortress, it was also called Samnangseong Fortress since three children of Dangun built it. The time of construction of this fortress is not certain, but it is likely to have been built even before the Goryeo Dynasty. 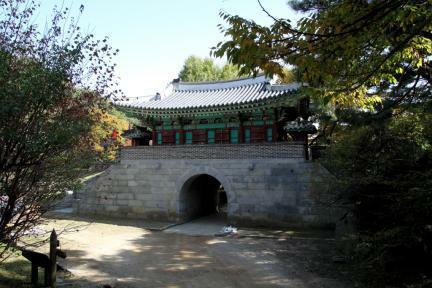 Its palace was built in Samnangseong Fortress in 1259. 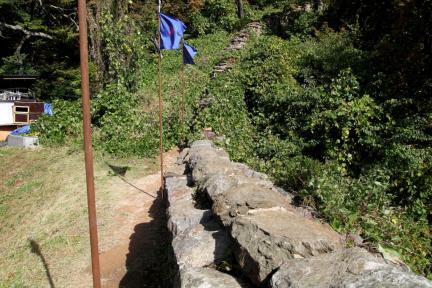 Judging from the style of the fortress, which followed the style of the period like Samnyeonsanseong Fortress in Boeun and Myeonghwalsanseong Fortress in Gyeongju, however, it was likely built in the Three Kingdoms Period as well. 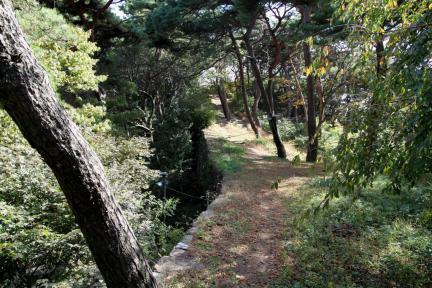 The fortress seems to have been repaired in the Goryeo Dynasty and restored in the 15th year of the reign of King Yeongjo (1739). 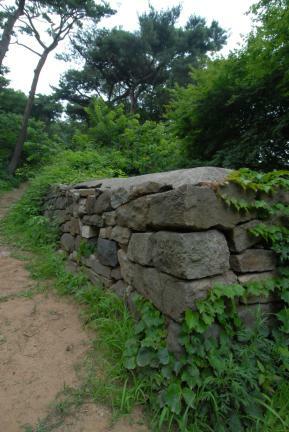 He built the gate tower called Jonghaeru in the south gate. 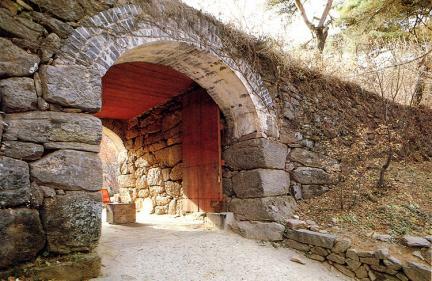 In the first year of the reign of King Hyeonjong (1660) of Joseon, Joseon wangjo sillok (Annals of the Joseon Dynasty) was moved from the storage in Manisan Mountain to one in Jeongjoksan Mountain. 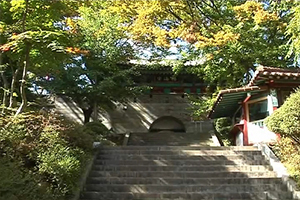 Seonwonbogak Hall, which preserved the royal family pedigree, was also built. 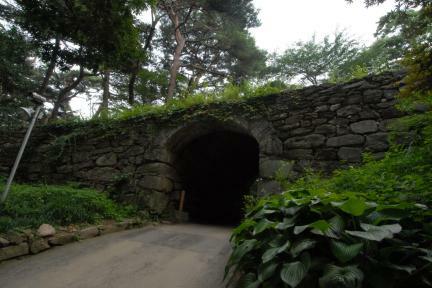 Both of them are now gone, and only Jeondeungsa Temple remained. 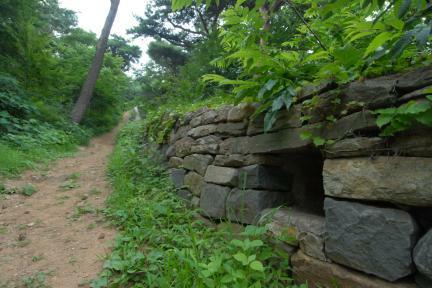 It was famous for mowing down about 160 French soldiers attacking through the east and south gates during the French Invasion of Ganghwa in 1866, the third year of the reign of King Gojong.